Telltale Games CEO Pete Hawley has shared a brief statement on social media confirming the closure of the studio. Sad news today for staff at Telltale Games and fans of the developer's long-running The Walking Dead games. 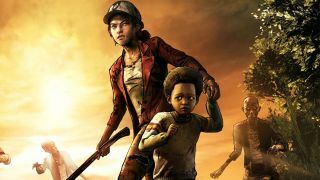 According to reports, the California-based developer has laid off the bulk of its workforce, throwing into jeopardy all of its games, including the climax to the end of The Walking Dead season 4. As things stand, Episode 2 of The Walking Dead: The Final Season, 'Suffer the Children,' is due on September 25. It's likely that episode is finished and ready to be released, but beyond that we could be waiting indefinitely for closure on Clementine's story. Though there has been no official word from Telltale yet, on social media developers from other studios have been offering job opportunities to their affected peers. Former CEO, Kevin Bruner, also took to his personal blog to share his feelings about the closure. "Today, I’m mostly saddened for the people who are losing their jobs at a studio they love. And I’m also saddened at the loss of a studio that green-lit crazy ideas that no one else would consider," he writes. Earlier this year Bruner filed a lawsuit against Telltale, seeking recovery of financial damages. We've reached out to Telltale for a statement, and in the meantime are left to figure how one of the most recognizable studios - working with some huge licenses - got to this point. In March Megan Farokhmanesh at The Verge revealed that previous management and a "toxic" culture had caused employee burnout at the studio, and prior to in November 2017 the company had seen workforce cuts of around 25%. And while it's easy to pull a Grandma and blame everything on the internet, it seems that the popularity of 'let's play' videos and streams featuring Telltale's narrative-focused games could be part of the problem. If 6.5 million people are watching PewDiePie play through an episode, how many are actually going to buy their own copy to see the same story afterwards? Telltale used its signature narrative-led format for some of the biggest intellectual properties in popular culture, including Game of Thrones, Minecraft, Mr Robot (along with Oxenfree developer Night School) and of course The Walking Dead. Back in June the studio revealed it was also creating a Stranger Things game - widely considered to be a chance for the studio to reclaim its past glory - but it's safe to assume that the project is a casualty of the closure. We'll update this story once we receive an official statement, and will also update you on what's likely to happen to The Walking Dead: The Final Season.